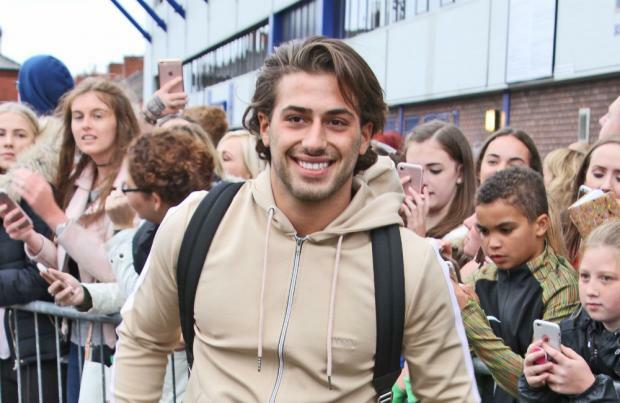 Kem Cetinay is reportedly being lined up for 'Dancing on Ice'. The 'Love Island' winner has been approached for the forthcoming series of the skating show, which will return to screens in January following its axe in 2014, after he won over the nation with his down-to-earth personality on the dating series earlier this summer. A source told The Sun newspaper: "Kem impressed ITV bosses in 'Love Island' and they wanted one of the contestants for 'DOI' too. They think he could physically keep up with the training and has the personality to be a fan ­favourite." But the 21-year-old hunk will have to fight off stiff competition from the likes of 'Bake Off' winner Candice Brown, Ray J and model Alex Gerrard as they're also being eyed up. Details of the reboot are being kept relatively under wraps for the time being but Phillip Schofield and Holly Willoughby - who fronted the original show together from 2006 until 2011 - have been confirmed as the hosts, while Jayne Torvill and Christopher Dean - who coached the competitors on the original - will be head judges this time around. The legendary skaters will be joined by Jason Gardiner - who was known as "Mr Nasty" for his acid tongue remarks - on the judging panel, but one person will be noticeably missing from the show as Chris' partner Karen Barber hasn't been approached yet. A source close to Karen - who used to coach and judge - said: "Understandably Karen is disappointed to have not received a contract yet - she loves 'Dancing On Ice' and is incredibly excited to see it returning to TV and of course she'd love to be part of it. It's a bit of a kick in the teeth for Karen to see Jason Gardiner invited back and not her."